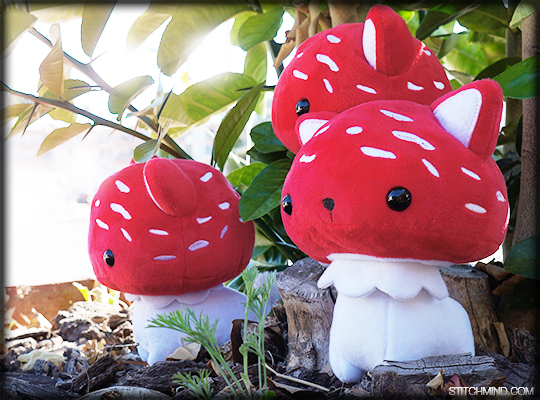 The Mewshroom is Now available! The Mewshrooms are here! 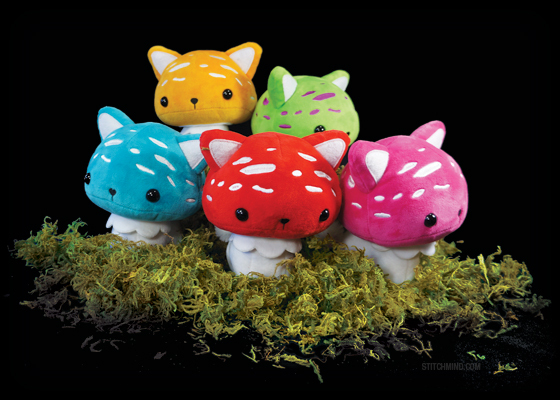 Choose and adopt a Mewshroom of your very own and take one home with you today! Visit the Stitchmind Store to see whats available. The Mewshroom also are great friends with Cockblock. The two can often be seen playing together. Mewshrooms are bizarre creatures with mysterious features. So far our dangerous research has concluded that all Fungapuss have the common characteristics of incredible agility with their small stumpy feet as well as the ability to detect auras and magic around them using their special sporepuff tails. The first Mewshrooms to appear are of the most prolific Amanitty Mewshrooms variety (don't eat them!). 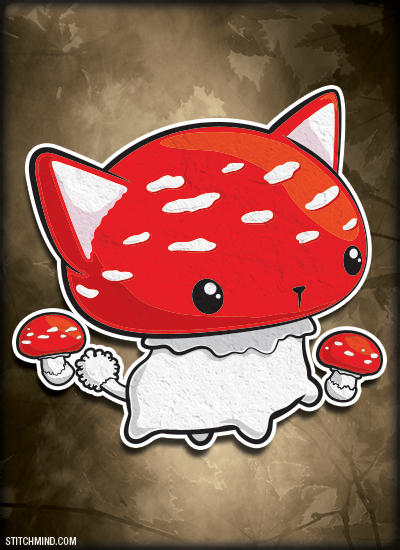 Along with the common red Agaric Mewshroom; several strange varients have also been found alongside them. 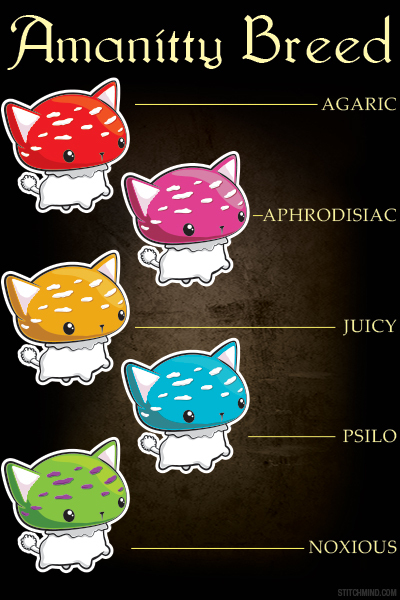 Which mewshroom do you like? Which one bonds with you? Will favoring one Mewshroom upset the others? Only time will tell. Mewshroom needs exposure to be found! 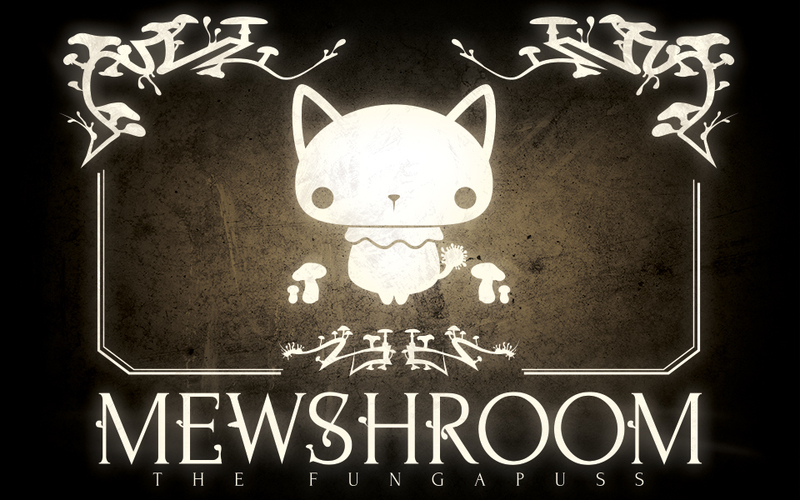 Download the Press Kit here and talk about Mewshroom on your media!